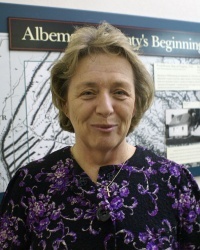 Debra M. Shipp is the Albemarle County Clerk of Court. Shipp was first elected in 2007 after serving for 30 years in the clerk's office under then clerk Shelby Marshall. Shipp is also a member of the Charlottesville Dogwood Festival Board of Directors. Under Shipp, an audit of the 2011 election records by the Commonwealth's Auditor of Public Accounts showed deficiencies in the office including filing errors and failure to invoice, deposit, and invest funds in a timely fashion. Also occurring in 2011 Shipp lost her son in a fatal automobile accident. This page was last edited on 7 April 2017, at 15:28.